Jeep India has made their mark in the Indian market based on a single product Compass. This premium compact SUV has done wonders for the Automaker when it was initially introduced in India but recently its sales dropped by almost 53 percent compared to last year. 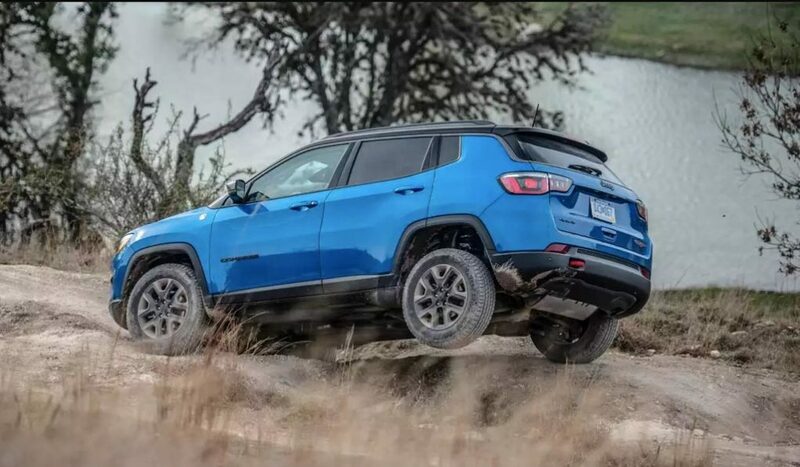 So in order to improve the sales number Jeep will perhaps be introducing a more rugged and purpose-oriented Compass Trailhawk variant soon. 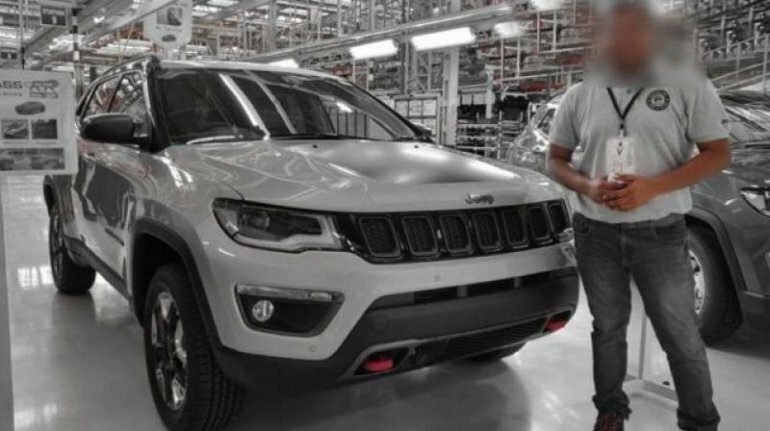 The Compass Trailhawk is already manufactured in India for export purpose however the Indian spec Compass Trailhawk variant will be slightly different than the International spec car. Recently an image of what looks like to be the Indian spec Trailhawk variant has been leaked online along with little information. Some reports online state that FCA will be omitting few unnecessary features from the standard spec SUV in order to bring the overall prices down. However, they will be focusing more on the styling in order to balance and do justice to the steep prices of the Trailhawk variant. The Trailhawk variant gets a slightly different front fascia than the standard Compass which has helped improve its approach and departure angle. The Trailhawk variant, in particular, has an approach angle of 30.3 degrees while it has a breaker angle of 33.6 degrees. The SUV also features a water wading capability of 480 mm which is obviously more than the standard variant. Some other exclusive features on the Trailhawk variant includes 17-inch off-road tires and suspension, Jeep Active drive 4WD system, five different selec terrain system (including a Rock mode) and a recovery hook finished in Red and an anti-glare hood as well. The reports also state that the Indian spec Jeep Trailhawk variant will be powered by an updated BSVI variant of the 2.0-litre MultiJet II diesel unit which is capable of producing about 173 Ps of peak power and 350 NM of torque. The International spec variant is paired with a ZF-built 9-speed automatic transmission which sends power to all the four wheels. However, this particular gearbox is too expensive for the Indian market and customers won’t be able to rip the full benefits out of it if we keep the Indian driving condition and behaviour in mind. Thus we believe FCA will most probably replace the expensive transmission with some other transmission option to keep the price in check. With all the changes and sacrifices you can expect the ‘Trail Rated’ Jeep Compass Trailhawk to be priced within 30-34 Lakh bracket. Whereas the standard Jeep Compass prices start from Rs. 15.39 Lakhs and goes all the way up to Rs. 22.85 Lakhs (ex-showroom) for the top end diesel variant.